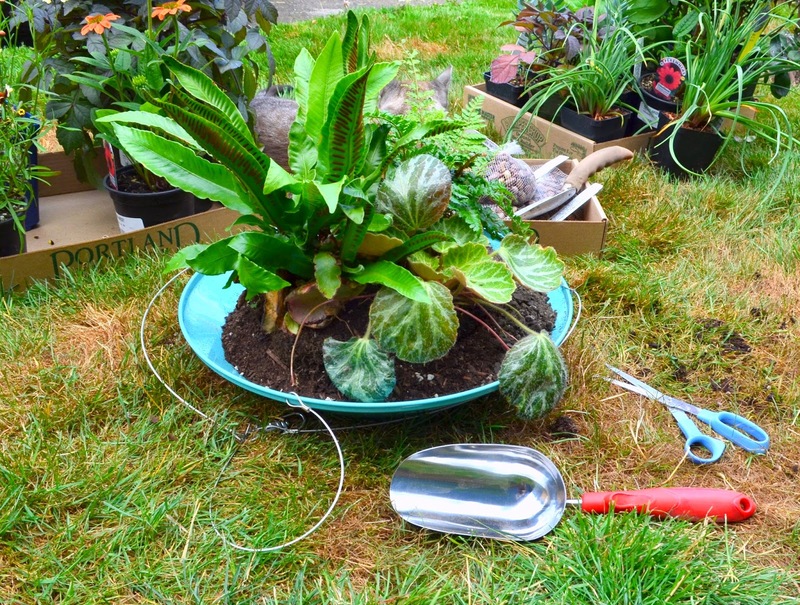 I spent my birthday weekend in July, touring gorgeous gardens all over the Portland Metro Area with two busloads of fab fellow garden bloggers from around the world for the Portland Garden Bloggers Fling 2014. Now, I could start off my series of posts about this incredible event by showcasing the gardens I visited..but why...when I could show you the PRIZES I won and the goody bags full of loot from our generous sponsors. Because for me, this was the best part. (I'm still 10....in spirit....sometimes). I was the luckiest of girls when I won this fantastic hover dish from Pot Inc. out of Vancouver BC. We had a big raffle and give away after our first full day touring gardens. The stars aligned..it was my birthday weekend and a full super moon. It's the only way I can explain my luck. This hover dish is gorgeous. My friend Danger Garden has a few and I've been drooling over them. 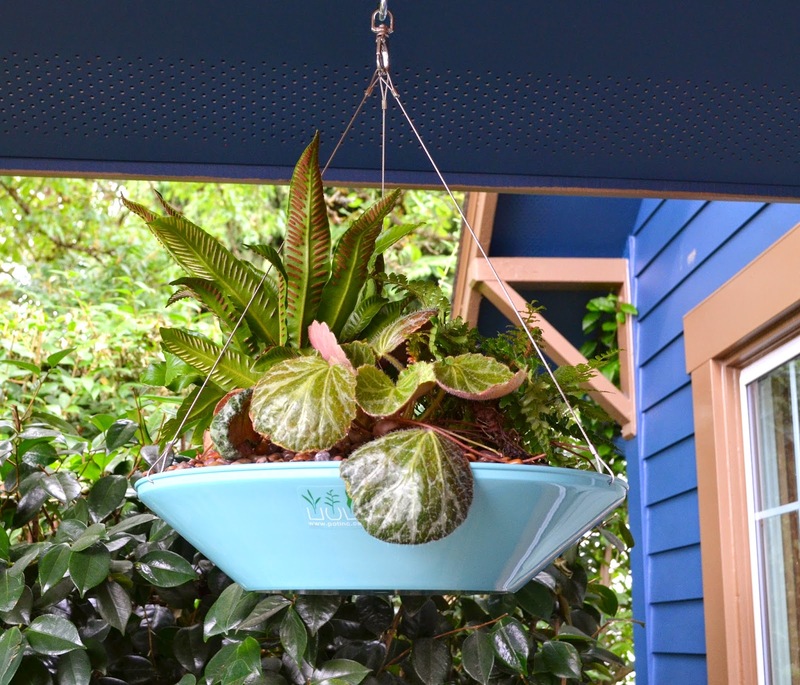 Pot Incorporated hover saucer filled with ferns and a hardy begonia on my front porch. It's truly amazing what great looking containers can do to add finishing touches to your home and garden. Clearly, I am in need of more hover dishes and with a colorful collection to choose from, a girl can't go wrong. 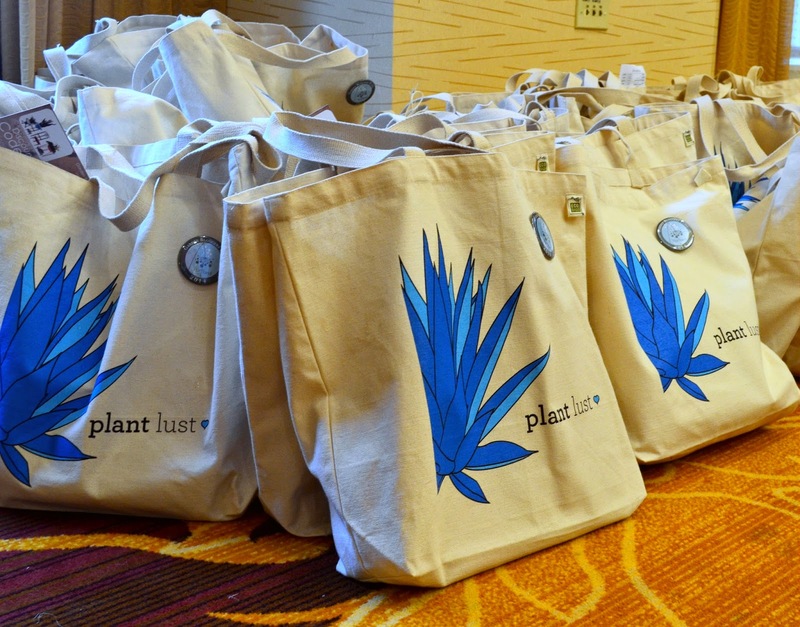 All of the Portland Garden Bloggers Fling received cute canvas totes courtesy of plantlust.com. Now, I am already a plantlust.com devotee. I mean, where else can I go to look-up online which local nurseries have the plant that I'm looking for? 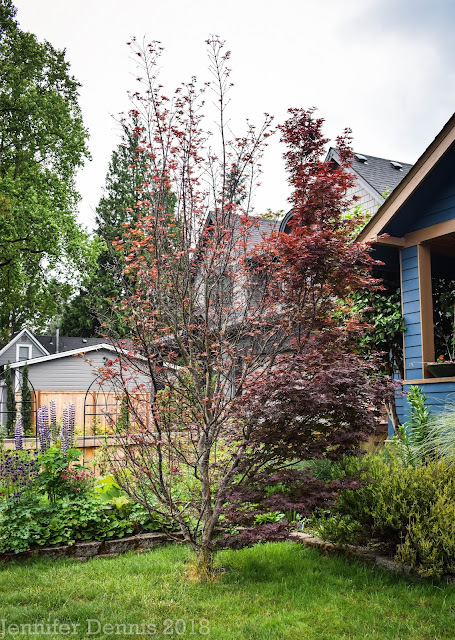 I've been recommending the site to some of my landscaping friends and they have been impressed with the websites handy nature. 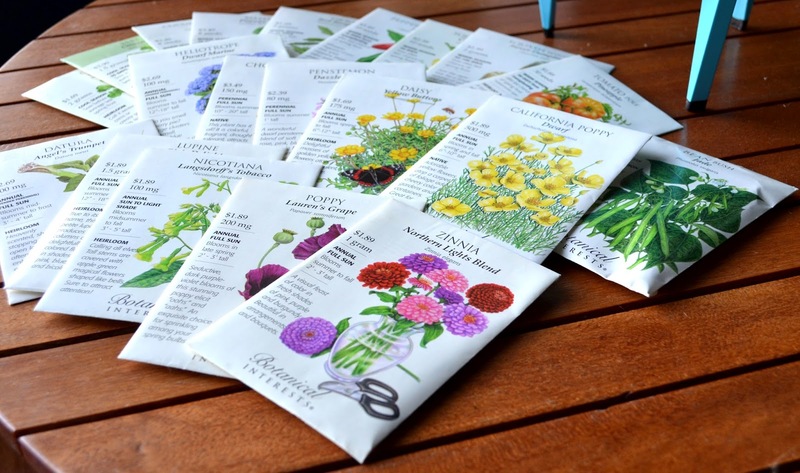 Inside our tote bag of fun was a fantastic selection of seeds from Botanical Interests. What an awesome assortment of seeds from Botanical Interests!! I love starting plants from seed. It's economical and practical. Plus, the sense of accomplishment that I get from starting seeds and teaching my kids to start seeds is huge; it makes the entire family feel like they can successfully garden and participate in the magic of growing things. Our tote bags also held a handy new gardening tool from Corona. A comfort gel scoop. I know I'm a gardening geek, because when I saw this I immediately thought, BINGO!! A high sided scoop is perfect for transferring soil into containers without making a mess. I used it when I planted my hover dish from Pot Inc.
Ah, my new scoop. I love new garden tools. 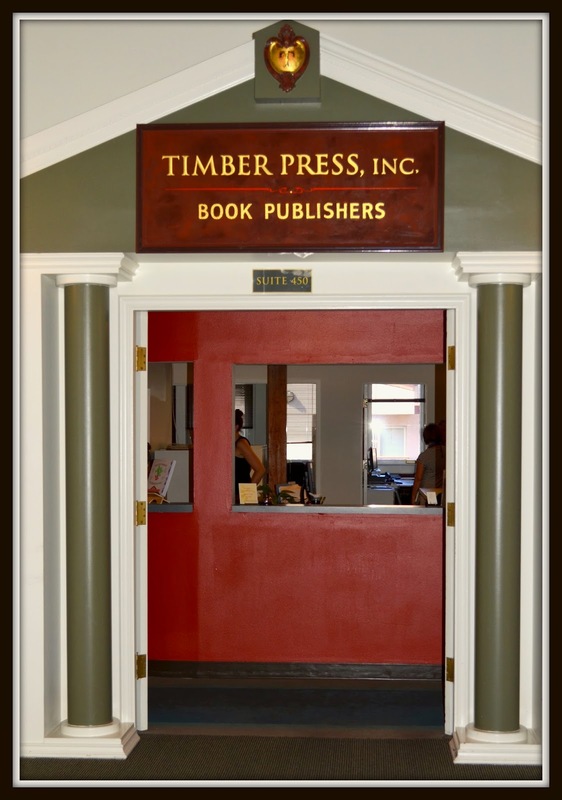 Another treat came when we toured Portland's famous publisher of great garden books, Timber Press. We received a few free books. Talk about a kid in a candy store.....I waffled between feeling like I just won the lottery after folks at Timber Press encouraged us to pick ANY book to take home and review and feeling a bit intimidated when I realized just how many of the fellow garden bloggers in our company had been published by Timber Press. My last great prize was another win at our dinner after our first full day of tours. All of the tables had darling center pieces from Steel Life. Seriously, luck was with me as I won a Mezzo Mod Dish. I brought mine home and added a few embellishments to decorate my front porch bistro table. For a girl who never wins anything, I think I did pretty OK. Such generosity from our sponsors! I am still in awe when I look at these engaging new items around my home. It's unlikely that I would have ever allowed myself to splurge on such gorgeous things so these prizes are cherished by me. My thanks to the Portland Garden Bloggers Fling volunteer team of organizers for creating such an amazing event. I'm excited to highlight some of the gardens I visited in future blog posts. I'm smiling from cheek to cheek reading this Jenni, I am so happy you were such a lucky girl! From thinking you weren't going to attend to winning two fabulous prizes (which look tailor made for your home), it was just meant to be. Indeed the universe wanted you to feel loved and appreciated. I'd like to know more about that event. You mention "our sponsors", so was the event organised on the basis that you would review the places visited / items received? Or did you have to pay to attend? 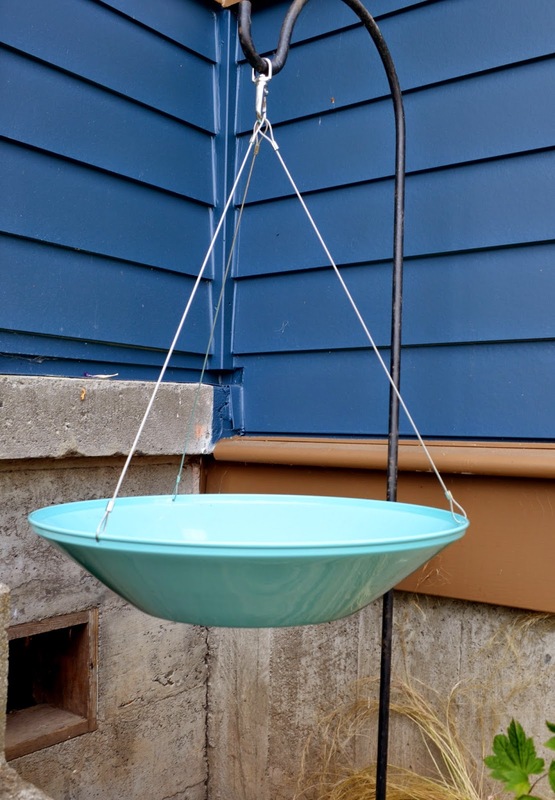 It sounds like you had a pretty lucky streak anyway, and have ended up with some very stylish additions to your home and gardening equipment. Congratulations! What a lucky gal! That hover dish and the one from Steel Life are so fab! Glad you enjoyed your first Fling. You really had a super lucky birthday weekend. So nice to win that fabulous blue hoover dish. And that goodie bag with so many séedpackets......it must have been great fun days. I am so excited about my seed packets. They gave us a lovely variety of both edible and ornamental seeds. Wow, congrats on your wins! They make wonderful additions to your lovely gardens and home. Happy belated birthday. Looks like you had a fantastic time, and such great prizes! Such a great idea for an event. Hope to see a few garden photos too at some stage in future. Your reaction to the goodies is exactly what I pictured from Fling attendees - but on steroids! So glad to think the prizes, books and other great extras went to such an appreciative recipient. 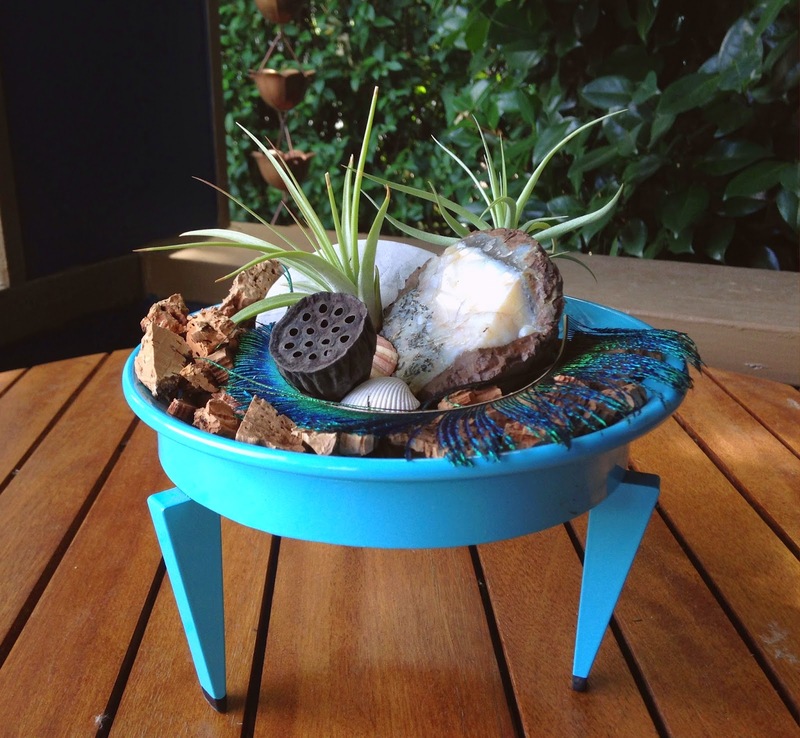 The Hover dish looks wonderful on your porch - I can picture it exactly! It's only fair, and a great tradition, to shower gifts on the birthday girl...and they couldn't have gone to a better home. Yes isn't that scoop great? What ever did I do without it? (Spill potting mix everywhere.) Congrats on the cool hover dish. What a fun weekend. Congrats on the win! And happy belated birthday to you! I love every part of the fling and the prizes and goody bags are always fun! So glad you are enjoying your gifts! I thought all the swag and prizes were fabulous. What a nice birthday weekend it turned into for you! Thank you for sharing! You made out fantastically!